Many contractors have an in-built suspicion of overly friendly types, and they take particular exception to agents "befriending" them just to get information about the next round of recruitment, or what other projects might be starting up. An agent digging for commercial information is a reality of contracting life, and a necessity for agents whose reputations and target-driven earnings depend on getting the next job in. But this commercial reality sits uncomfortably on most contractors who find some of the dubious practices an irritation at best and a moral decrepitude at worst. 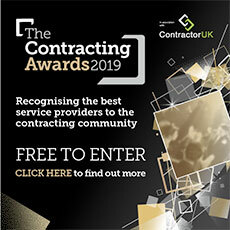 Dave Waterman, a 13-year contractor veteran and operating from a two-man limited company as a lead architect, despairs over agents' mateyness, "I particularly hate how they phone up as if they are your best friend and then ask what is happening on site. Are they expanding? Are they likely to need more people?" Dave doesn't think he should be doing an agent's job for them, but milking contacts in this way is considered a standard sales technique. It's a necessary evil if agents are to find positions for other contractors on their books. And an agent's friendliness can know few boundaries in a quest to leach information. Kurt Ramman is in the fortunate position of having worked with the same agent for over ten years, surely a unique position for a contractor, and the consistency enables him to view others' situations with a detached cynicism. "I could never argue with their tactics of bringing the prettiest girl in the office and throwing her to a bunch of salivating, socially challenged IT-men. It was a nasty business," he says of agency honey-traps for talkative contractors. Yet some agency practices are more harmful, and farming CVs for contacts rankles contractors and casts a shark-shaped shadow across agency desks. It is even common for phone calls to be made to current bosses – offering to plug inevitable resource holes – within hours of CVs being sent out in application for new positions. "There are not enough expletives to describe what I think about that," says Waterman, and he believes contractors should give nothing away to agents. "I try to not put the names of previous companies on a CV although that is hard because everyone wants to know who you have worked for." Legally, the custom is dubious. Roger Sinclair, lawyer at contract specialists Egos Ltd., believes the practice is likely to fall foul of the Data Protection Act, (extracting & compiling personal data), and if the CV is expressed or implied to be confidential, it could be classed as a breach of confidentiality. While searching for a new job you can unwittingly reduce your chances by answering an agent's chatty enquiries. Forthcoming answers to questions like, "What interviews have you been for? Who with? Who was the team leader again, er… Tom… er?" can give the agent his next cold-call target, and you have naively increased the competition. And the competition does not always play fair. If an agent knows you have applied for a job through another agent, but has candidates available with similar skills, then it is not beyond possibility your name will be casually mentioned to the client in connection with some previous problem; perhaps casting doubts on your ability to do the work, or your ethical standing. Robert Dorney, business software developer, recalls an agent muck spreading when he took a new position and refused to renew the old contract. "My existing agent put out feelers to see if anyone else in the company was leaving, rang them to congratulate them on the new job, mentioned that it must be good to continue to work with one of the their mates, namely me, and where was it? "My new boss received a call from my agent outraged that I was breaking a contractual agreement to come and join her. My new boss was not impressed." The fact that there was no contractual arrangement did not seem to matter. Merely the mention of legal action was enough to delay the start of the new contract and cause suspicion. Dorney thinks he was lucky the offer did not fall through. While most agent actions are fighting tactics in the cut and thrust of competitive business, contractors are not primarily business people but, admittedly clever, technicians. There is often a gulf of understanding between the two camps. Contractors must always remember that an agent's primary function is to make a profit, not look after the interests of a single contractor. That the two goals often appear to coincide is what makes an agent so valuable, regardless of the manner in which some, allegedly, operate.